The Girl in the Broken Mirror Archives - Andrew Nurnberg Associates International Ltd.Andrew Nurnberg Associates International Ltd.
Jay’s creative writing exercise is to write a fairy tale, ending ‘and they lived happily ever after’. But the way her life is panning out she’s not sure it will ever reach that stage. Jay is an only child whose father died some years earlier. Her father believed that well educated girls could make successful independent lives. Now she has to move with her mother to her Aunt and Uncle’s house where her cousins live. Her aunt is a particular kind of Indian woman with super strict rules for girls and boys. Jay will be expected to have only Indian friends, if she has any at all. How can she see her school friends, Chloe and Matt? But being forced to conform to conservative Indian customs and traditions is only the beginning of a nightmare for Jay. When her life implodes, how can she hide the shame and how will she find a way to keep going? 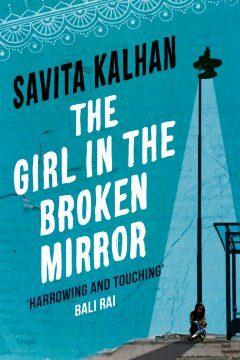 A gripping, contemporary story with strong female characters that explores the trauma of familial violence which teenage girls may face every day, whether as victims or bystanders.